We offer a great selection of popular Department Store Surplus and Closeouts including Overstock Clothing and Clothing Shelf Pulls, Closeouts on dress and casual Footwear, jewelry Closeouts, Domestics with bedding, towels, and accessories. AML is a U.S.A. based solid bricks-and-mortar company, contracted and trusted worldwide to move millions of dollars in distressed merchandise. Founded in 1992, we are a wholesale supplier of customer returns, closeouts, and overstock merchandise from leading department stores, manufacturers, importers and wholesalers. We offer many varieties of general merchandise and clothing in truckload and pallet quantities, at below wholesale prices. Black Swamp Liquidation specializes in selling liquidated merchandise from many of the nation's largest retail, big-box chains, and online retailers for pennies on the dollar. If you're looking for shelf pulls, overstocks, closeouts, display models, product withdrawals, discontinued merchandise, clearance items, and customer returns, we've got them all. Truckloads of them, all over the country. Central Closeout has been helping customers and companies of all sizes since it was first founded. We know how difficult and confusing it can be to do business in this particular industry. Our sales team has a vast network of sources including manufacturers and retailers, that can offer you the widest varieties of wholesale closeout merchandise at the lowest possible cost. Helping you maximize your investment. Continental Wholesale LLC operates from a Midwest warehouse distributing pallets of truckload merchandise to Ebay, retail and nonprofit stores. Truck loads, 1/2 truck loads and pallet-lots of store liquidations, shelf pulls, store closeouts, excess inventory, customer returns, salvage merchandise, surplus merchandise, damaged boxes,and overstocked merchandise. Department Store Liquidations is the leader in the wholesale of Closeouts and Liquidations specifically from Department Stores and Manufacturers. We offer a huge assortment of Liquidations, most of which are overstocks from major well known department stores and big box retailers. Our categories are endless. Direct Liquidation is a wholesale auction marketplace selling customer returns, overstock, closeouts and refurbished inventory. All inventory is sourced from top US retailers and manufacturers. Product is available to purchase by the carton, pallet or truckload. Discount Truckloads is a wholesale liquidator of general merchandise, tools, power tools, hardware, cosmetics, hardwoods, domestics and clothing from major retailers including Walmart liquidations, Home Depot liquidations, Target Liquidations, Hamilton Beach Liquidations and more. Our closeouts, surplus, overstock and discount pallet sales, truckload sales and other loads are perfect for resale merchandise. Since 1999, Discount Wholesalers, Inc. (DWI) has been a competitive leader in the Closeout industry. DWI buys and sells closeouts, overstocks, customer returns and salvage, factory seconds and out of season goods. DNC Wholesale is a company that specializes in the sale of wholesale overstock, closeout, and liquidation merchandise, serving thousands of customers in the U.S. and worldwide. We supply and distribute wholesale clothing, handbags, shoes, jewelry and other merchandise obtained directly from major department stores. FMK Closeouts is a distributor, Importer and exporter of Department salvage/Store Returns and Closeout Merchandise,offering closeouts, liquidation merchandise, salvage, overstock, surplus, and much more at pennies on the wholesale dollar! We have been in the closeouts business for years, supplying to Wholesalers, Exporters, Retailers, Auctioneers, Brokers, Flea Market Vendors and Closeout Distributors. We carry all types of merchandise from Major Department Stores and manufacturers in the USA, from apparel and domestics to electronics and toys. We sell by the pallet, by the lot, or by the truckload. GENCO Marketplace is America's largest wholesaler of retail returns. The company liquidates more than $2.5 billion worth of products annually to liquidators, discount retailers, eBay sellers, flea marketers, and other entrepreneurs. Our long-standing reputation as a market maker for excess inventory has made us the choice of 7 out of the top 25 retailers and 4 of the top 10 e-tailers. High End Closeouts at Low End Prices! Closeouts & Liquidations by the Pallet & Truckload! H & J Liquidators and Closeouts, Inc. specializes in providing high-quality merchandise at prices often unheard of in the closeout industry. 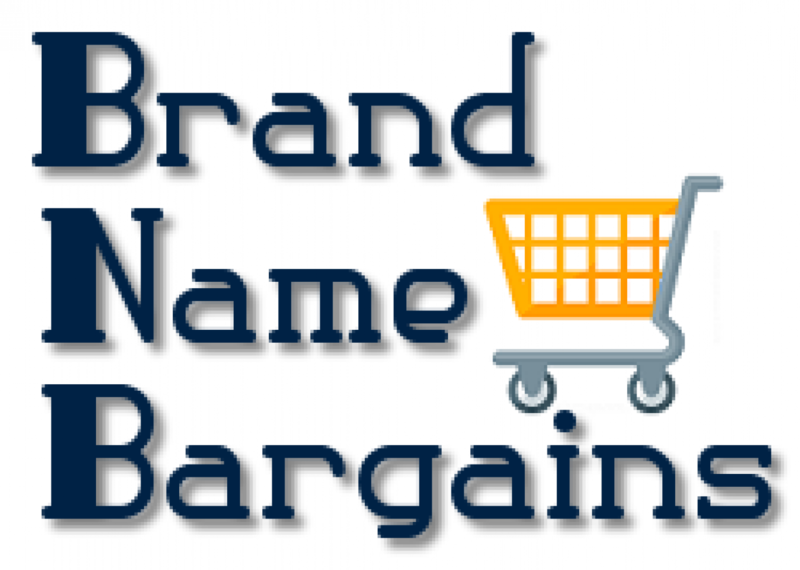 With 30 years of experience, our company offers customers the unique ability to choose from a large selection of merchandise for prices that start at under five cents. Serving almost the entire wholesale and retail community, all of our merchandise is on-site and ships from Des Plaines, Illinois. LiquidationCloseouts.com is in the business of Wholesaling, Overstock, and Closeouts, Merchandise from Major Brand Name Department Stores. Our Categories are endless. The Answer is simple. Many of our customers are retailers, flea market vendors, and most recently eBay Sellers. These customers order our Overstock Department Store merchandise quite frequently. We have earned a reputation and have strived over the years to obtain these Wholesale Closeouts Sources of Overstock and Liquidation Merchandise. One may ask themselves, Who would want these Name Brand,Overstock, Closeout Items ? MARKETPLACE CLOSEOUTS, is a wholesale distributor in excess inventory, offering you saving solutions in closeout merchandise, overstock merchandise, customer return loads, surplus, salvage merchandise, stocklots and off price merchandise at penny¹s on the dollar. Providing our customers with the latest information, inventory availabilities and quality of new, overstock, surplus, used and salvages goods. We believe that all our customers are different. Some are well established in business with multiple retail outlets and warehouses of their own, and some are just starting out with small capital. We make every effort to accommodate the needs of all customers, from those with small budgets to those stocking a whole chain of stores. Overstocks Trading is a buyer & seller of overstock, shelf pull, surplus, Liquidator and wholesaler in the Southeast located in Orlando, Florida. We specialize in high end Liquidator and wholesale apparel and large variety of electronic product with exceptional quality, and the lowest prices. Palletbid.com is an online retailer owned by American Merchandise Liquidators (AML) that began in January 2011. PalletBid.com provides customers with a convenient portal of assorted pallets and small lots of quality merchandise at below-wholesale prices, and has one of the largest inventories in the business. SalvageCloseouts.com carries a full line of Department Store Merchandise, closeouts merchandise, surplus closeouts, department stores closeouts, department store returns and salvage truckloads from over 100 department stores in America. Our prices are pennies on the wholesale dollar. TDW, Inc., carries a full line of salvage merchandise, closeouts merchandise, surplus closeouts, department stores closeouts, department store returns and salvage truckloads from over 100 department stores in America. Your Source for all Truckload Deals from Major Department Stores and Websites. We offer Liquidations by the Truckload and Pallet. All of the Liquidations Ship Direct From the Store to Your Door. Via Trading is a wholesale supplier of closeouts, overstock and customer return merchandise from the nation's leading department stores. We specialize in supplying resellers large and small with merchandise at a fraction of its original cost. WORLD LIQUIDATORS, INC.proudly enters its 20th year in business this year. The loads we sell are primarily STORE RETURNS. When buying STORE RETURNS (aka Salvage), you need to be prepared to get your hands dirty. The expression, "One man's junk is another man's gold" has never been truer than with this business. We manage liquidation programs directly with some of the largest retailers in the USA. Buy direct from Xcess Limited to skip the brokers and the middlemen! We sell below wholesale prices on truckloads of closeouts & liquidation goods from major retailers.